This entry was tagged historical knitting patterns, knitting history, knitting tip, lace knitting. Bookmark the permalink. That is pretty and it looks easy to make. Not a reply but a question, and forgive me if it is a dumb one. 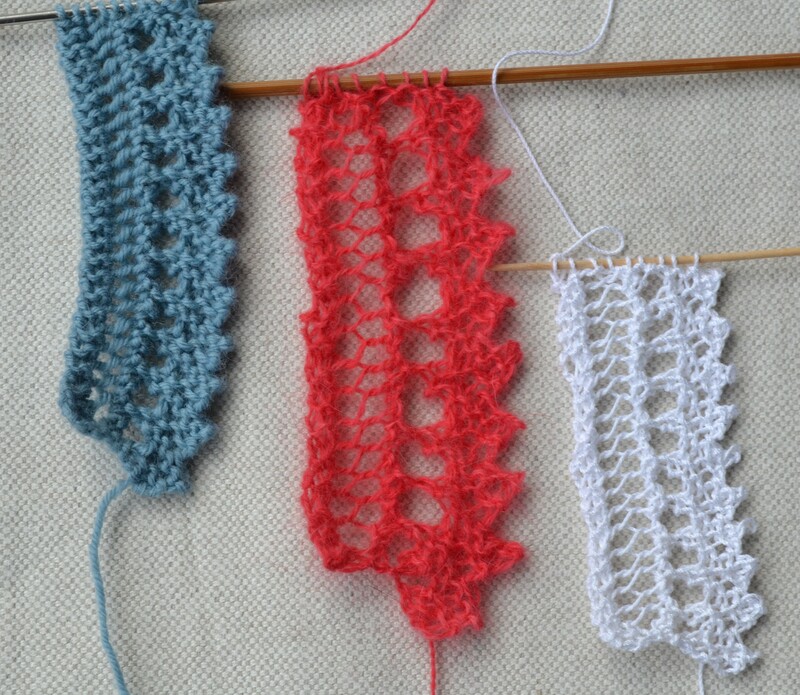 I jumped to try this very lovely lace edging but am stuck on the “Make 1” of Row 2 — is it even possible to knit FIRST into the back and THEN into front of the same stitch… not the other way round, first into the front, and then into the back? When I try it as written, the stitch just drops from my needle. Thanks. The picture of the edging in three different weight yarns is brilliant. Can I get back to you tomorrow on this? I’ll have a look and see how I did it. Don’t know what happened before but I’ve got it now — just like that. It is only four rows and it looks so sweet! I put it on the cuff of a cardigan for my baby niece. Now for the other cuff. The posts on the baby sock are wonderful. I love patterns from antique publications and blogs with contemporary looks at them are my favourites. Thank you so much.